Multicyclonic technology, a powerful suction process that ensures you never lose suction. This works by sucking air and dust/hair particles into cyclones, separating the dust before reaching the filters. Therefore the filters do not get clogged. Great news for those suffering from allergies as the High Efficient Particle Arrester filtration (H.E.P.A.) is included. Pollen is helped removed by these filters. An internal dust bin container of 1.5 litres, which is perfect for any sized premises. This unit also includes a tool fit for use on sofas, curtains and those hard to reach areas. It also includes a dusting brush. The power lead is a lengthy 6 metres. Telescopic handle with 8 different height settings. LED performance indicator, which alerts the user to any blockages. Can access lots of tricky areas using the on board tools. 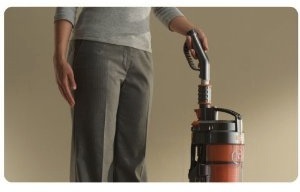 Upright vacuum cleaner, so easy to use without stooping. Light, so can carry around the home without exhaustion! Takes up less space so ideal for smaller homes. No need for vacuum cleaner bags! 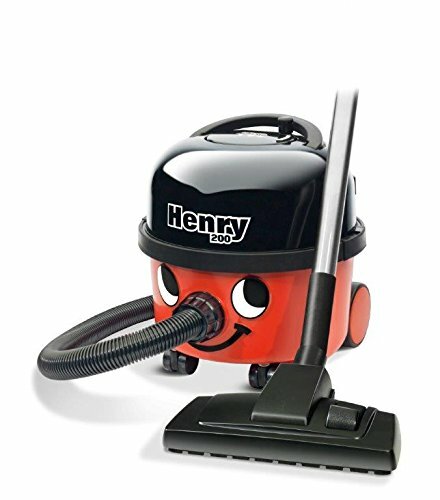 Looks really stylish as vacuum cleaners go. Foot operation easy to access on the go. Instruction manual easy to follow with good graphics. Power cable can be short for some users. Hose pulls out from the bottom of the unit, but for some this will probably not be a problem. 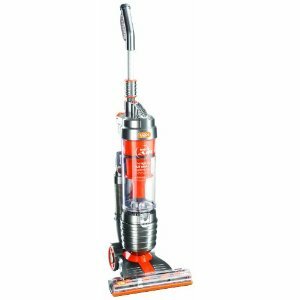 How does the Vax U91-MAB compare to other light vacuum cleaners? Great review! It’s even lighter than you say though, as it weighs just 4.9kg.